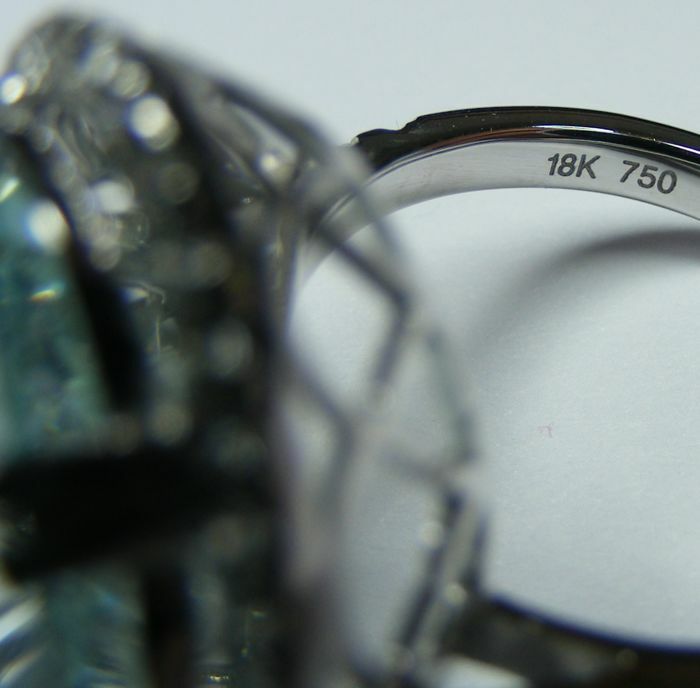 Superb 18 kt white gold ring of high-end jewellery quality and featuring beautiful craftsmanship. 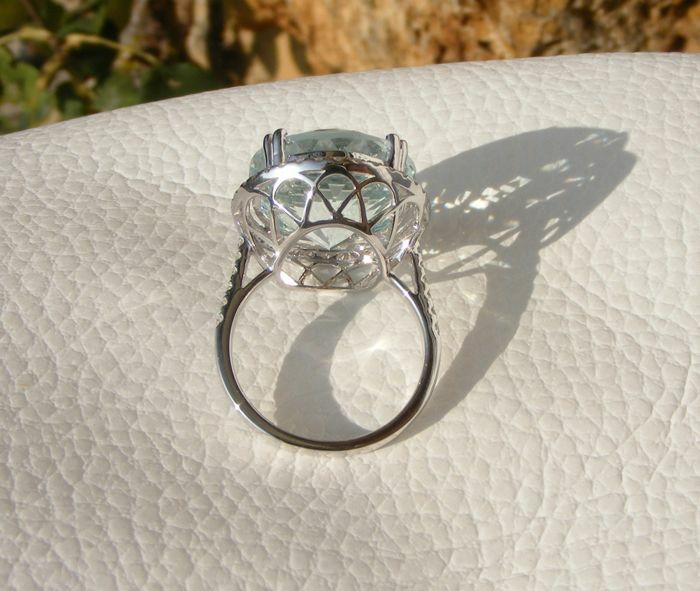 The ring is in mint condition; photos done outside (just reflections on the photos). 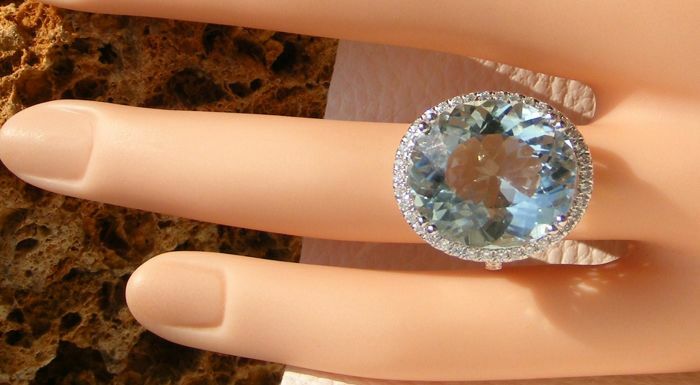 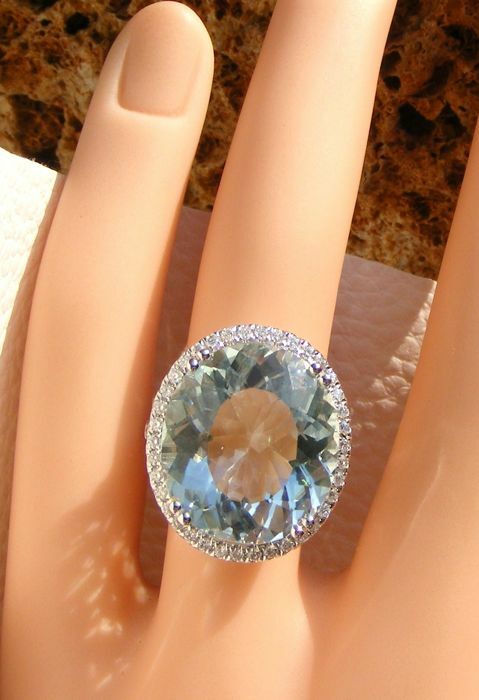 No reserve price; the ring will be sold to the highest bidder! 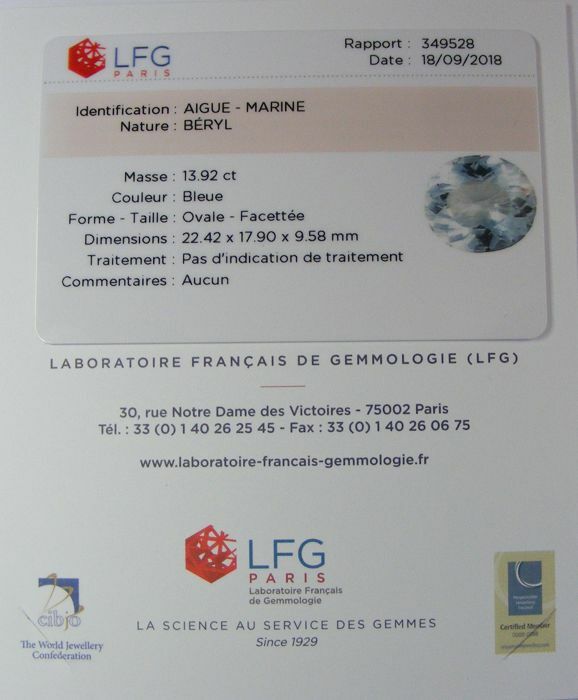 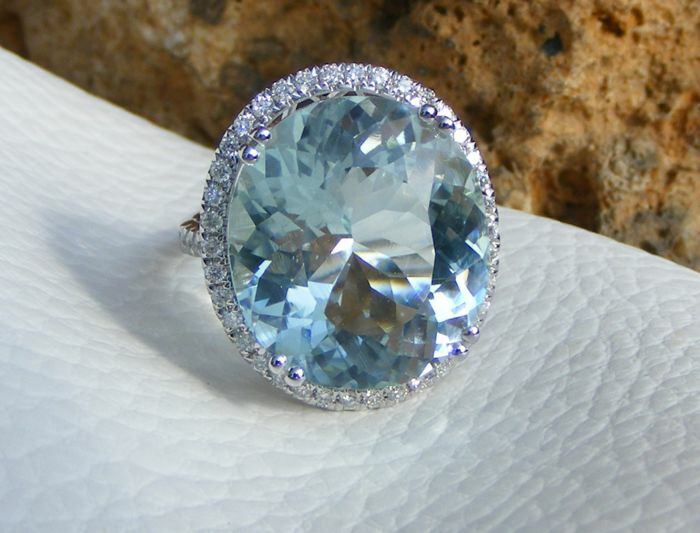 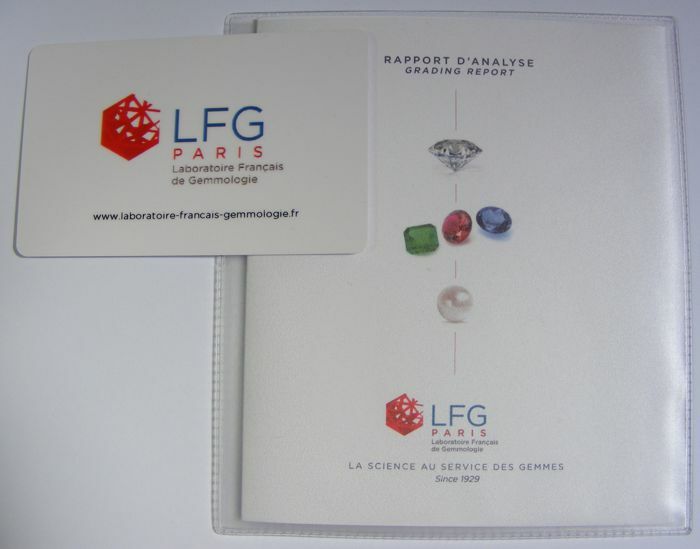 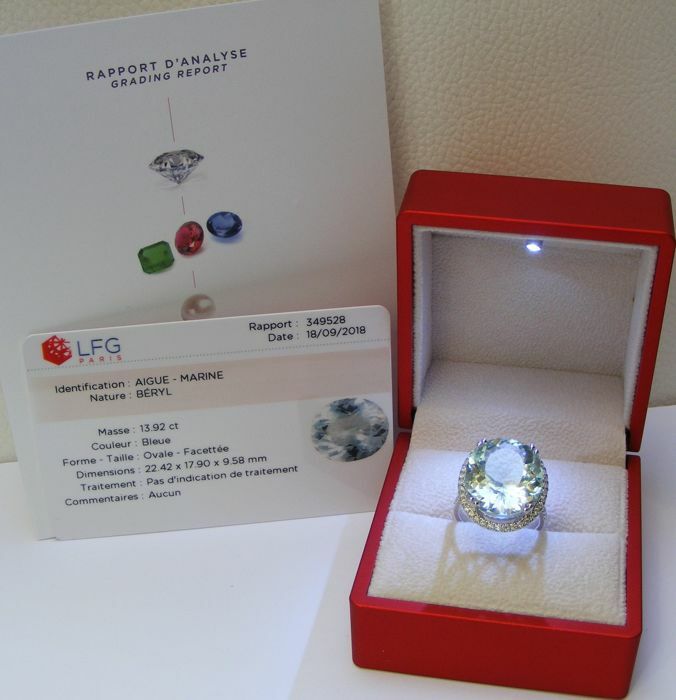 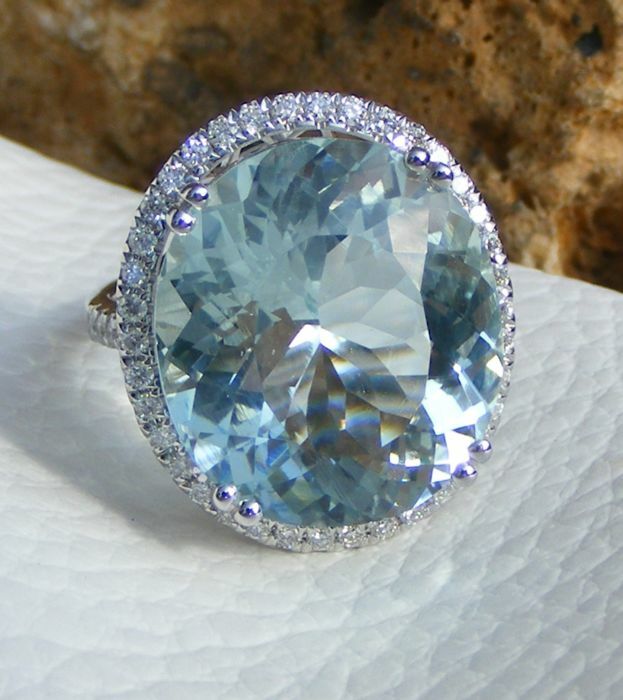 1 aquamarine certified 100% natural, untreated and unheated by the LFG laboratory n° 349528 - photo n° 6. 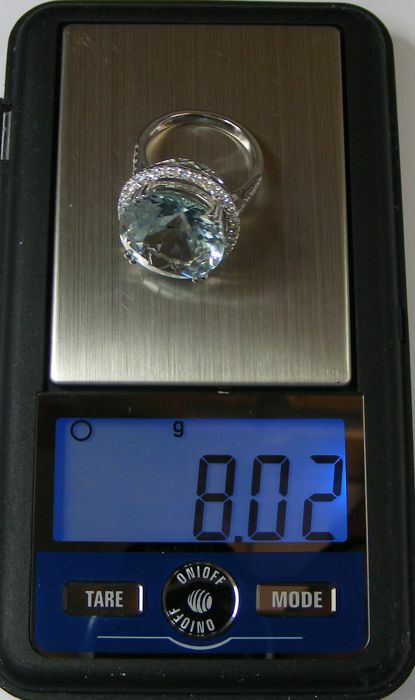 50 round natural untreated diamonds, "brilliant cut".